The latest self-driving vehicle is making the steering wheel and the brake pedal a thing of the past. 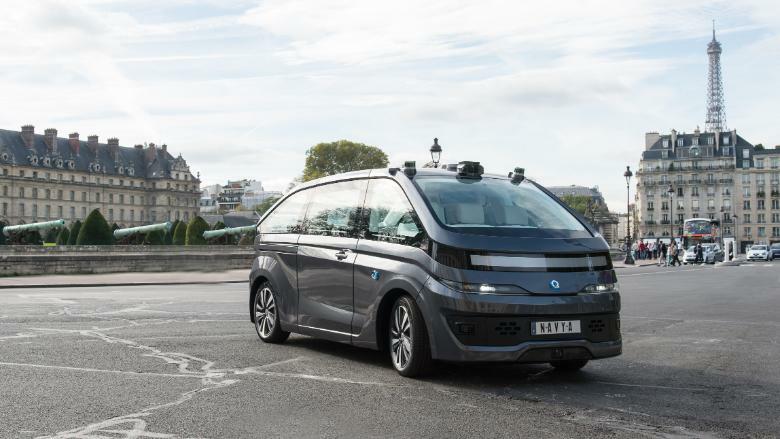 Navya, a French technology company, unveiled a self-driving sedan Tuesday, and it doesn't have the usual feature of a driver's seat. Production of the six-passenger electric vehicle will begin in early 2018, accelerating the arrival of autonomous vehicles onto streets around the world. Navya already makes a driverless shuttle, which is similar to a small bus and generally travels at the pace of a good jogger, making it ill-suited for most driving conditions. There are 50 of the shuttles in operation, according to Navya. The new sedan, called the Autonom Cab, is capable of speeds up to 55 mph. It will sell for 250,000 euros and is designed to be used in a ride-sharing service rather than sold to an individual. "We're in the race for the robotaxi," Navya CEO Christophe Sapet told CNN Tech. "It was disappointing to be seen as just as shuttle maker." Experts forecast that the autonomous vehicle industry will be worth trillions. 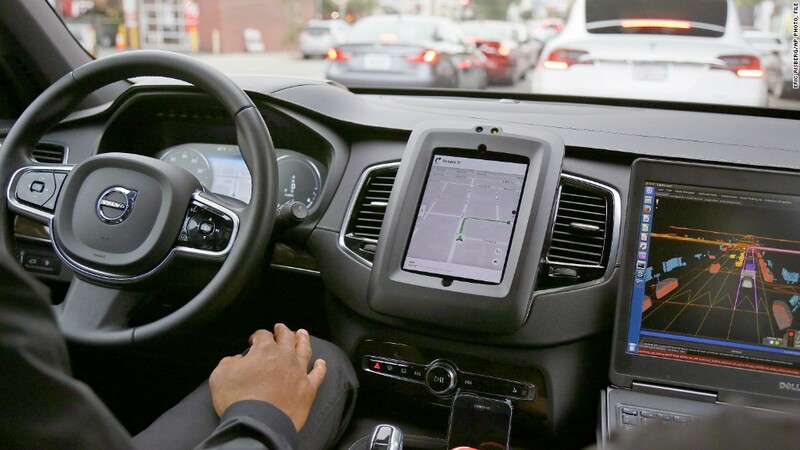 This has fueled an intense race, and $80 billion has been invested in autonomous vehicle research, according to a Brookings Institute report released this fall. Navya will be demonstrating the Autonom Cab at the Consumer Electronics Show in Las Vegas this January. In April, it will begin testing the vehicle in France and the United States. Navya is hoping to test six vehicles in five different cities, according to Sapet. The Autonom Cab will still have to prove that it can drive safely on roads. They haven't announced a target date for broadly reaching consumers after the tests in April. It won't have a steering wheel or pedals, but a Navya employee will ride in the vehicle and be able to control it with a joystick. Navya is far from the only competitor looking to perfect the right vehicle for giving self-driving rides. Waymo, the self-driving company from Google's parent company, has transitioned from two-seat vehicles to roomier Chrysler Pacificas minivans. Cruise Automation, the self-driving arm of General Motors, uses its Chevy Bolt, an electric five-seat vehicle it has described as perfect for ride-sharing. Uber has tried Ford sedans and now a Volvo SUV. Experts forecast that autonomous vehicles will help save many of the 1.25 million lives lost each year in motor vehicle crashes. Navya was far from the only autonomous vehicle company making news this week. Waymo announced Tuesday that it is now testing vehicles with a test driver in the driver's seat.